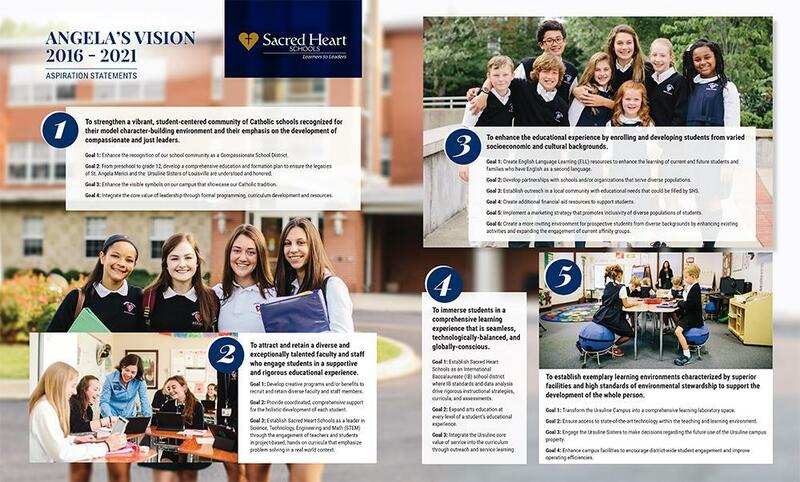 To strengthen a vibrant, student-centered community of Catholic schools recognized for their model character-building environment and their emphasis on the development of compassionate and just leaders. To attract and retain a diverse and exceptionally talented faculty and staff who engage students in a supportive and rigorous educational experience. To enhance the educational experience by enrolling and developing students from varied socioeconomic and cultural backgrounds. To immerse students in an education that is seamless, technologically-balanced and globally-conscious. To establish exemplary learning environments supporting the development of the whole person and characterized by superior facilities and high standards of environmental stewardship. Click here to view a pdf with both goals and objectives for each aspiration.